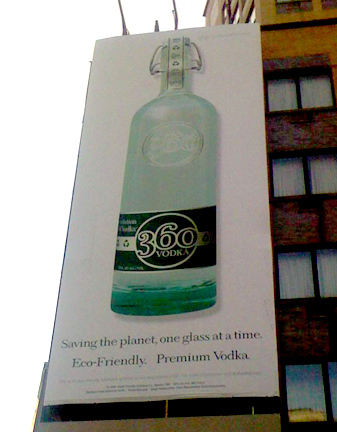 Spotted on 28th & Broadway last week: Eco-friendly vodka. As much as I support any and all earth-preserving efforts, this one seems to fall short on credibility. Let’s be honest, people: drinking a glass of vodka will not save the planet. It may, however, help you forget your problems.